By Audrey Golden. Jan 21, 2017. 9:00 AM. Who is Naguib Mahfouz, and why should you read his works of fiction? 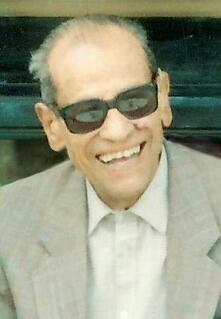 Mahfouz was born in Cairo, Egypt in 1911, and he wrote ten novels within a span of just over a decade. However, the reason that most of us know Mahfouz’s work has to do with a series of works he wrote in the late 1950s which ultimately led to him winning the Nobel Prize in Literature in 1988. In 1957, the “Cairo Trilogy” appeared, which included three texts: Between-the-Palaces, Palace of Longing, and Sugarhouse. According to the Nobel Prize committee, these narratives “made him famous throughout the Arab world as a depictor of traditional urban life.” In the years that followed, Mahfouz’s writing became more political, critiquing systems of governance in Egypt and intimating a deep-rooted need for freedom of expression. By the time he was awarded the Nobel Prize, he had written thirty novels and over one hundred short stories. 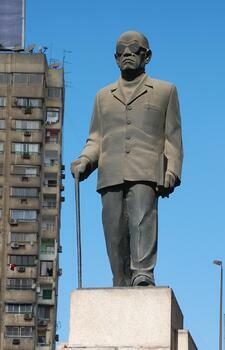 When we think about Mahfouz today, what should we remember? Although Mahfouz passed away ten years ago this year, his writing remains of great significance for readers across the world. If you’re interested in reading more of Between-the-Palaces or exploring Mahfouz’s other works, why not pick up a new book today?